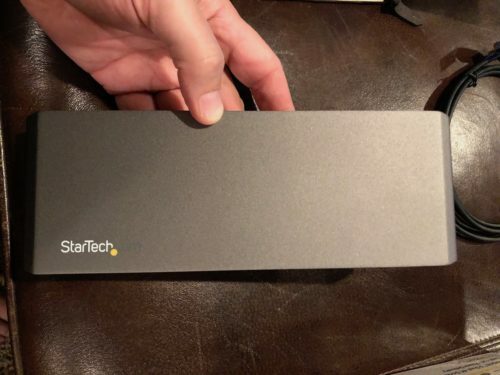 StarTech Thunderbolt 3 Dual-4K Docking Station is a Windows and Mac compatible Thunderbolt 3 docking station. 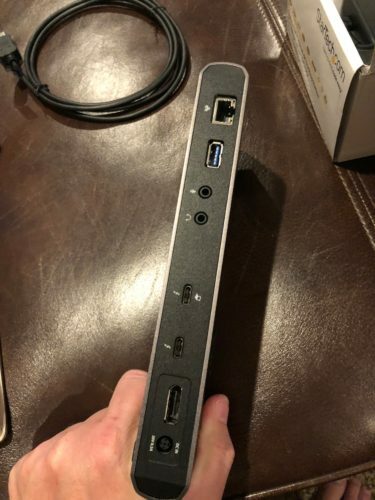 It connects to a Thunderbolt 3 equipped Windows PC or Mac and adds two Thunderbolt 3 ports, two USB 3.0 ports, a DisplayPort, audio in, mic in and an Ethernet port. The dock also provides up to 85W to power up your computer. The box includes the docking station, a Thunderbolt 3 cable, the power adapter, DisplayPort cable and the instructions. Setting up the dock involves plugging the power and attaching the included Thunderbolt 3 cable into the computer. 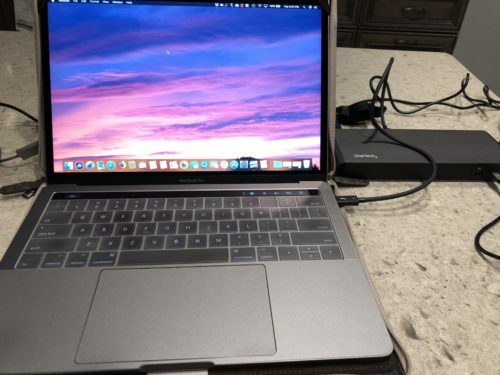 The Thunderbolt cable comes in the form of a USB C connector, so you need to make sure that your computer supports Thunderbolt 3 to use this dock. As a test, I did plug the dock into a 12 inch MacBook, which has a USB C port that is not Thunderbolt 3 and the dock will charge it. However, none of the other functions of the dock will work, such as display output and data from the USB ports. Also, keep in mind that the 13 inch MacBook Pro with Touch Bar has slightly slower Thunderbolt 3 ports on the right side. The left side and both the ports on the 13 inch MacBook Pro without Touch Bar are full speed, so try to use those ports with the dock if possible. For the tests, I used a 2017 new 13 inch MacBook Pro with Touch Bar running MacOS and Windows 10 in Bootcamp. On the Windows side, once I plugged in the power and Thunderbolt cable, device manager starting adding the drivers it needed for the ports. USB Flash drives, audio and network ports worked as expected. On the Mac OS side, I plugged in the dock and the MacBook Pro recognized all the ports immediately. I tested the USB drives, and transfer speeds were on par with using the drives without the dock. The Ethernet port works with no issues as well, and it supports Gigabit speeds. Audio in and out sounded good. One thing to note is that the dock has a DisplayPort input and comes with a USB 3 to DisplayPort cable. If your monitor only has a HDMI input, you will need a DisplayPort to HDMI cable. 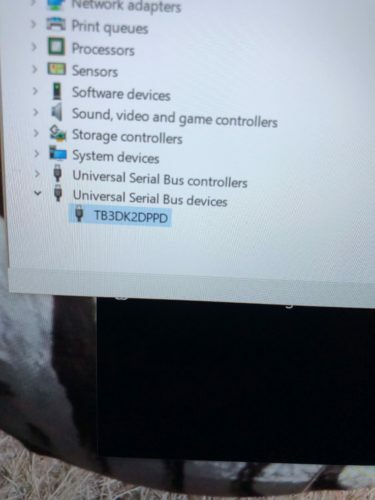 I tested the HDMI and resolution was fine. I do not have a Thunderbolt 3 monitor to test with, but the dock claims it can drive two 4K monitors using Thunderbolt 3. Asthetically the dock looks good. It’s not too big and heavy, although the power adapter is a brick and is almost the same size as the dock. The unit feels solid and well built and the port connections appear to be strong. 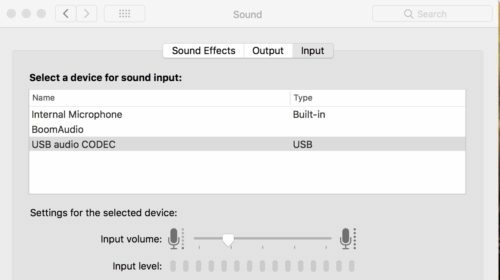 Thunderbolt 3 docks in general are fairly pricy, and are very useful. They can do a lot more than a hub and can truly make your Thunderbolt 3 laptop a desktop replacement. The retail price of the dock is a bit higher than some of the competitors, however, Amazon has it for $330.99 U.S. with Prime free shipping. That puts it in the same range as other similar docks. Don’t buy a premium product such as this, that you will use over and over, based only on its cost. Read reviews and consider the quality of the company making the dock, in this case. MyMac Review Rating is 8 out of 10. Easily adds multiple ports and power to your Thunderbolt 3 enabled MacBook Pro. A little pricy but worth it if you have multiple monitors and need additional ports.